ExxonMobil Corp., the world’s biggest publicly traded oil company, is calling on the Environmental Protection Agency to regulate emissions of methane from all new and existing oil and gas wells across the country, according to a letter obtained by Axios. 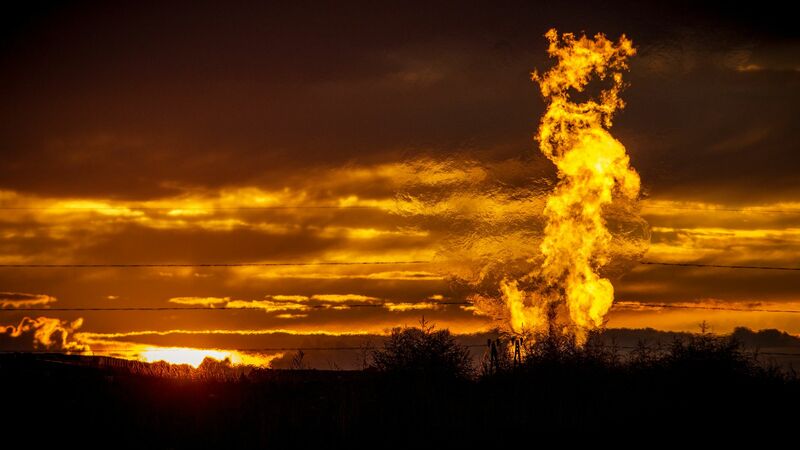 The big picture: Methane, a potent greenhouse gas, is the primary component of natural gas and is sometimes purposefully or inadvertently leaked in the production and transport of the fuel, as well as when drilling for oil. The EPA has been slow in its approach toward rolling back Obama-era methane rules, in part due to industry divisions. Details: Through its subsidiary XTO Energy, Exxon is one of America’s biggest producers of natural gas. It has two reasons to back such a regulation. Exxon is facing pressure from investors and lawsuits over climate change. By calling for regulations, it’s an attempt to show Exxon wants gas to be as clean as possible, even if those regulations never happen. “We believe the correct mix of policies and reasonable regulations help reduce emissions, further supporting the benefits of natural gas in the energy mix,” writes Gantt Walton, vice president in Exxon’s Washington office, in the letter sent as part of the regulatory process. As a massive global company, Exxon is positioned to benefit financially over smaller companies. It can easily afford pollution-control equipment that others have a harder time obtaining. Between the lines: This is a subtle escalation in Exxon’s positioning on this issue. The company has previously said it backs federal methane regulations, but — until now —had not gone as far as to ask the EPA to do so in writing. It’s also significant that Exxon is asking the agency to regulate methane emissions from existing wells, which would affect hundreds of thousands of wells. Under Trump, the EPA is very unlikely to do this. President Obama’s EPA had started the initial groundwork for such a rule, but didn’t get far before Trump took over. What’s next: This letter is in response to a technical rollback EPA is undertaking. The agency is expected to propose a broader rollback of the rules soon.